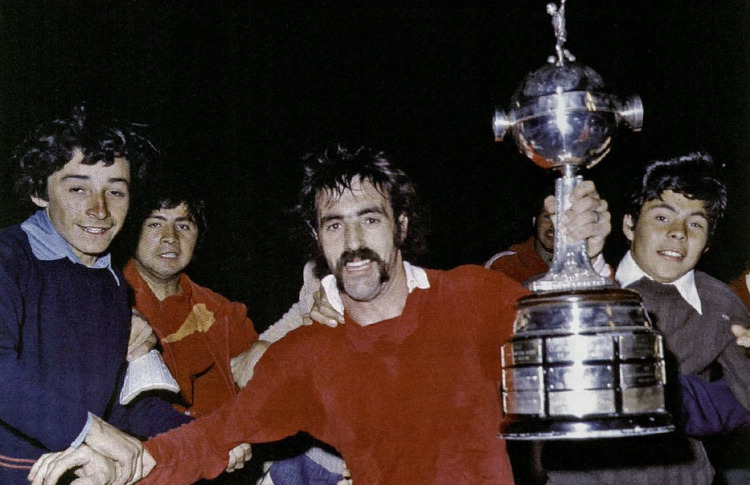 This past weekend marked the 55th anniversary of the top club competition in South America, the Copa Libertadores. Following on the heels of the Copa Rio de la Plata between the champions of Uruguay and Argentina, and a one off tournament in 1948 called the South American Championship of Champions organized by Chile's Colo-Colo and won by Vasco da Gama of Brazil, the board members of Peñarol campaigned in the late 1950's for an annual competition across the continent. During the South American Football Congress in 1959 it was agreed that the following season would see the birth of such a tournament. 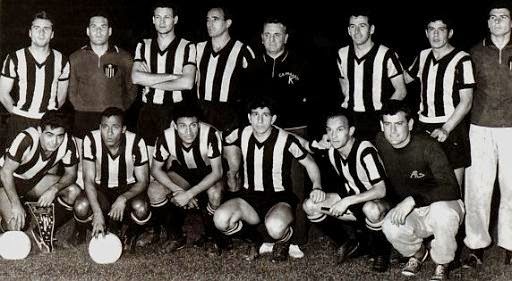 Initially called the Copa Campeones de América, this tournament to decide the top side in South America first kicked off on 19 April 1960, with a match at Montevideo's Estadio Centenario between Uruguay's Peñarol and Bolivia's Club Jorge Wilstermann. The 35,000 supporters in attendance saw their club obliterate their Bolivian guests 7-1, with Peñarol's Luis Borges scoring the first goal in the competition's history and teammate Carlos Spencer grabbing four goals in the rout. Like the early years of the European Cup the tournament was not fully embraced by all of the league's that were eligible to participate and only seven nations entered their sides in the first year of the competition. Among them were Millonarios (COL), Olimpia (PAR), Peñarol (URU), Bahia (BRA), Universidad de Chile (CHI), Jorge Wilstermann (BOL), and San Lorenzo (ARG). The champions of Ecuador, Peru, and Venezuela all declined a place in the tournament which resulted in the participants being divided into three two-team groups, with Olimpia, rather fortunately, winning a draw for a bye into the semifinals. Confirming their place as the dominant team of that era, Peñarol would advance all the way to the Final where they defeated Olimpia over two legs, with a 1-0 victory at home followed by a 1-1 away draw achieved thanks to a late equalizer by Luis Cubilla. Peñarol would defend their title the following season by beating Palmeiras of Brazil in the Final over two legs. In 1966, the tournament was renamed as Copa Libertadores to honour the heroes of South American liberation. To date, the most successful nation in the competitions history is Argentina, whose clubs have accounted for 23 titles. The club side with the most wins is Argentina's Independiente who have won seven tournaments, including four straight wins in 1972 through to 1975. The record goalscorer in the tournament's history is none other than Peñarol's Carlos Spencer with 54 goals, who provided a preview of what was to come over his outstanding career 55 years ago this week.